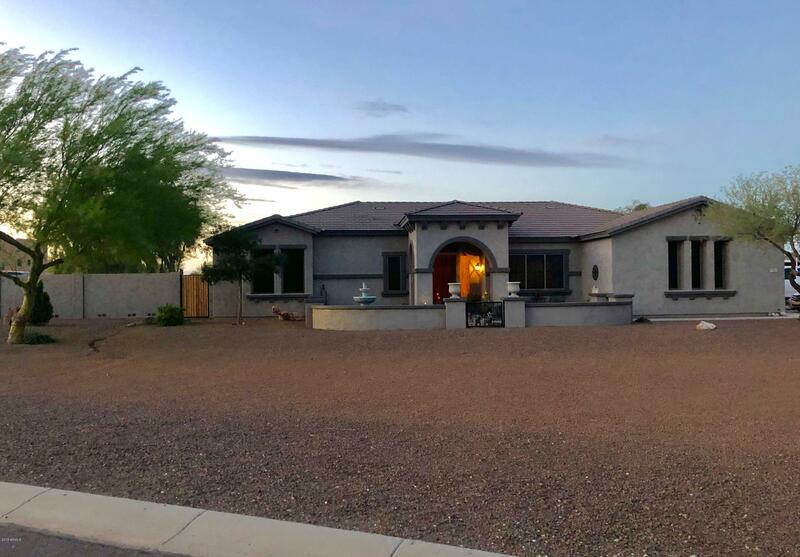 All Wittmann homes currently listed for sale in Wittmann as of 04/22/2019 are shown below. You can change the search criteria at any time by pressing the 'Change Search' button below. 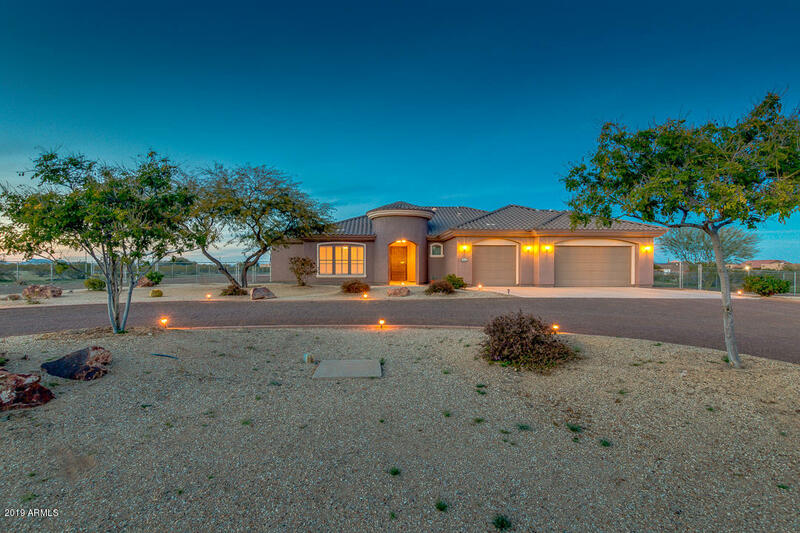 If you have any questions or you would like more information about any Wittmann homes for sale or other Wittmann real estate, please contact us and one of our knowledgeable Wittmann REALTORS® would be pleased to assist you. 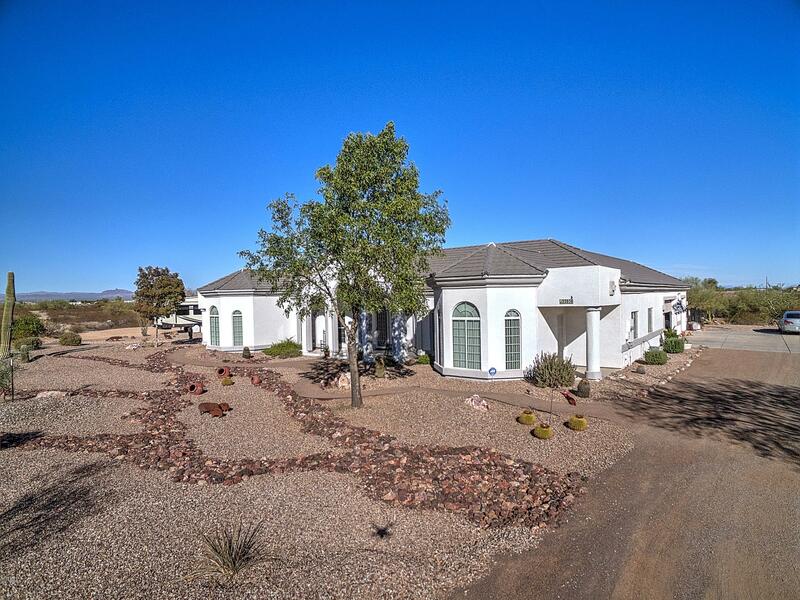 "This property has everything for a horse lover. 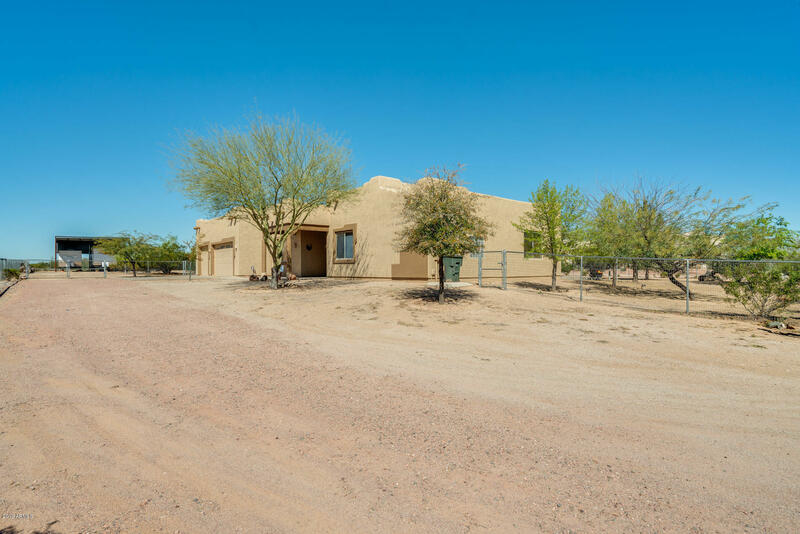 5 usable acres in great location easy access to all the arena's Beautiful Southwest home with easy to care for Slate Floors throughout. 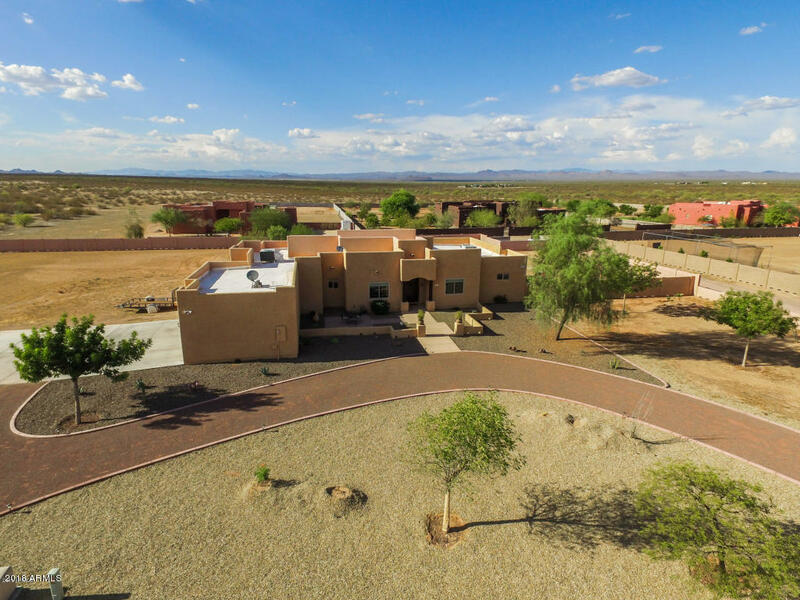 Custom Built home with many upgrades Roping Arena, Large horse pens and steer pens with shades. Tack room and Hay storage plus large turn around for big rigs." "Beautiful custom home built with attention to detail incorporating too many extras to list. 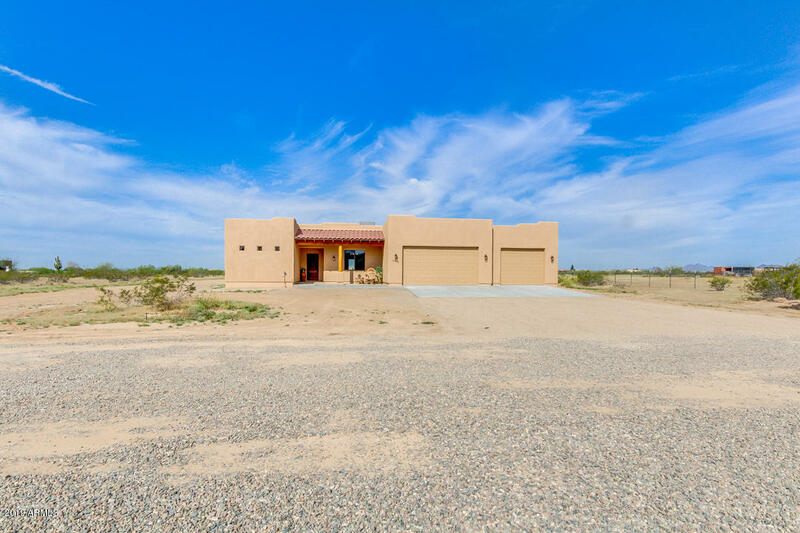 Wittmann is a sought after area growing exponentially, due in part to the many roping arenas opening up to accommodate needs of the influx of cowboys & cowgirls moving in to enjoy our beautiful weather & wide open spaces. Wittmann is in close proximity to Rancho Rio ''The Team Roping Capital of Arizona'' & some say the ''World'' in Wickenburg. Great home for entertaining with outdoor bar-be-cue & fire"
"Welcome home! This home boasts 5 bedrooms with dual masters, could be a mother in law suite with its own private bathroom and a 3 car garage all on over an acre. Crown molding. Coiffured ceilings. 20'' tile throughout. 10' ceilings with 8' doors. Epoxy in garage. This original Owner has taken pristine care of this beauty and spared no expense to the upgrades. Master bathroom has a snail shower with heat lamp on a timer, private entrance to back yard." "''The home within a home'' Imagine having both privacy & togetherness. This 3700 sf multi generational home offers an innovative floorpan to accommodate your family and guests. Separate suite offers 2BD/1BA with a private entrance AND a covered 1000 sf balcony w/magnificent sunrises/sunsets over the White Tank Mts! 1200 sf bonus room used as a gym, has prof. grade rubber flooring/carpet which Sellers can remove & offer a $4,000 flooring credit to convert. Horse lovers dream w/ plenty of room fo"
"NO HOA!!! 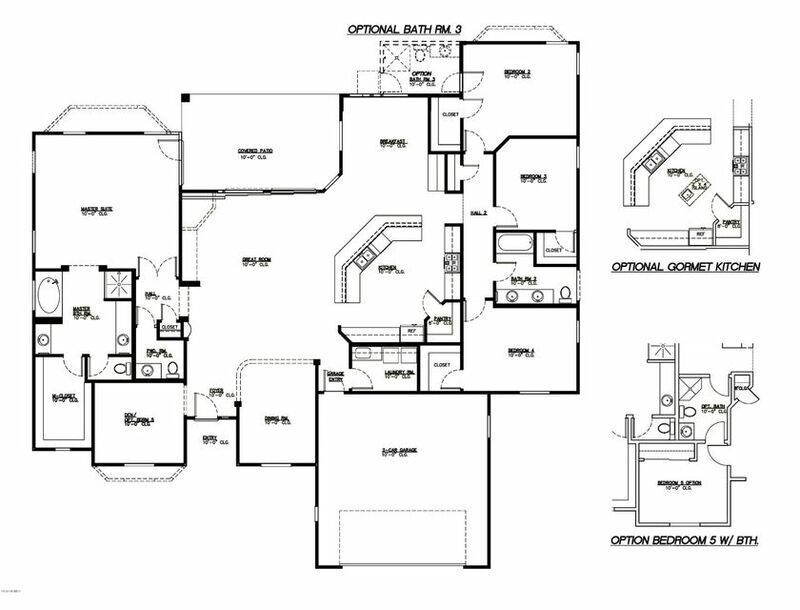 Ocotillo Floor Plan." "Custom 4bdrm/2.5bth home w/ a den on a huge lot is now on the market! Looking for peaceful out of the city living? Come see this spacious, bright & open home featuring a flowing open concept floor plan, an electric fireplace w/ remote, 3 car garage, plantation shutters, security doors, a programmable thermostat & the acreage you need for toys, animals & so much more! You wont be disappointed with details throughout! The kitchen is complete with granite counters, a huge eat at island, dual ovens "
"This is an amazing home. 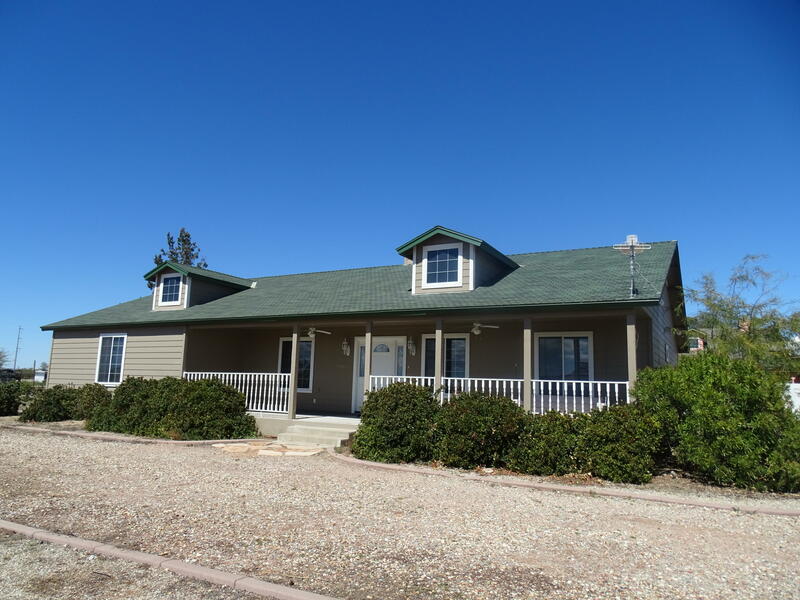 It boasts 5 bedrooms, 3 full baths, dual masters on 1.25 acres fully fenced with a 4 stall insulated and air conditioned garage and forever views to State land across the street. It has leased solar but THE LEASE HAS BEEN PREPAID FOR THE NEXT 14 YEARS. So, you have the benefit of the solar company maintaining the panels with NO PAYMENTS. The ample kitchen is fit for the gourmet cook in you with tons of storage, a walk in pantry and lovely finishes. The huge master h"
"Custom home 2.12 acres fabulous curb appeal extensive landscaping view lot.Large custom home granite counters cherry wood cabinets. Imported porcelain floor tile upgrade cabinets. Master bedroom has fireplace and sitting area. Adjacent full bath has bath tub and separate spa tub.Two 50 gallon hot water tanks.48'' wood burning fireplace living room, cathedral ceiling as well as cofferd ceilings, custom draperies.4 bedroom extra room being used as home office.3 bay windows 2x6 exterior wall constr"
"Stunning new build on a 2.5 acre corner lot with Mountain Views! Ride your horses for miles from here. It is fully fenced with pipe rail and dual gates so you can get your trailers in and out with ease. 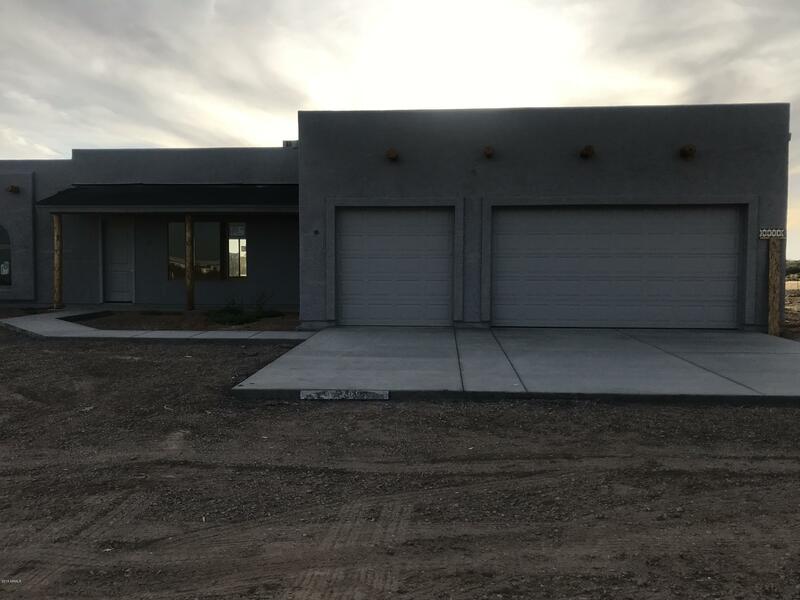 Granite counters, soft close drawers throughout, plank tile floors in all the right places, north south exposure and a split master makes this home ideal. The master suite boasts a walk in shower, huge walk in closet and dual sinks. Sit out on the north facing back porch in the evening and watc"
"NO HOA!! 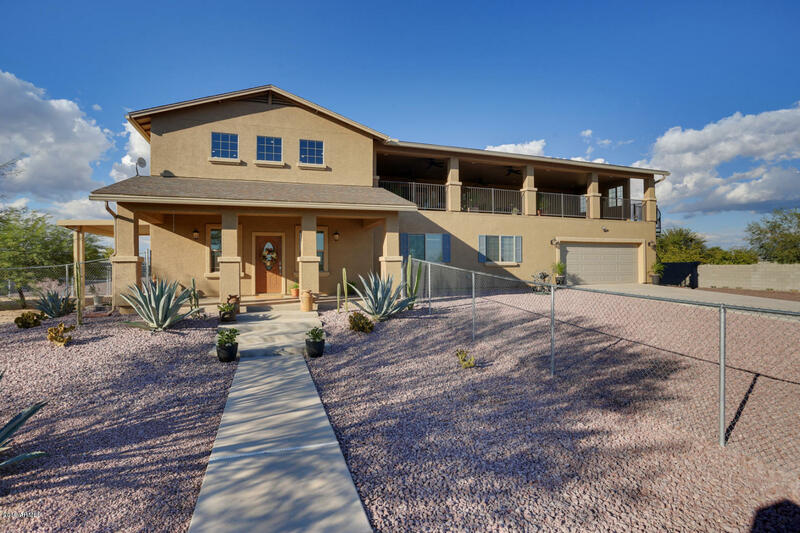 Saguaro Floor Plan.Dozens of options and upgrades are available to customize your new home." 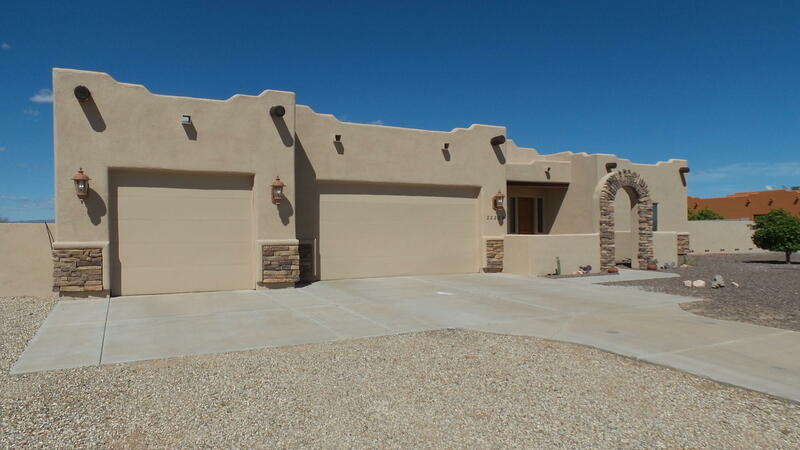 "This gorgeous southwest home is located in Wittmann's desired Peak View Ranch. Take in the breathtaking sunsets and views from your front courtyard. 3 Car side entry garage and a circular driveway add to the great curb appeal of your new home. As you enter in to your new home, you will notice the lovely plantation shutters, large great room with a fireplace and entertainment center. Enjoy your updated kitchen with granite countertops, pantry, breakfast area AND a formal dining area. 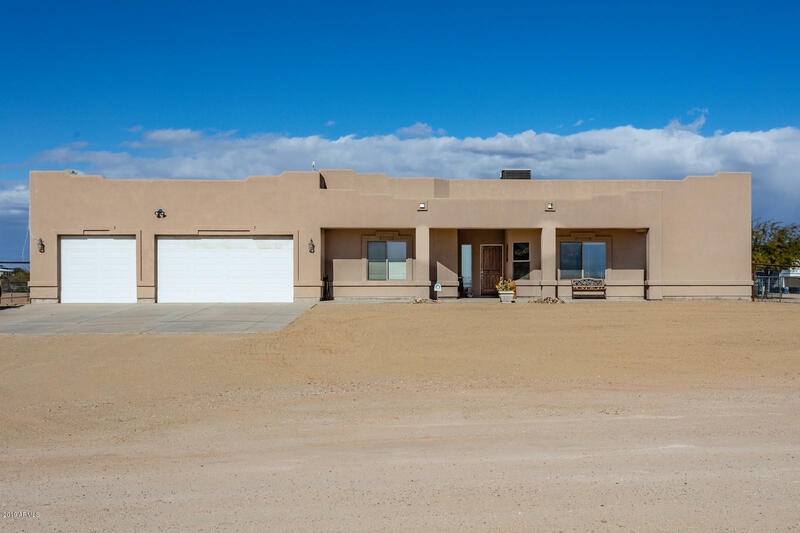 Your new hom"
"***Horse Property for sale on 1+ acres. NEW! Just completed*** .28012 N. 254th Ave is a beautiful 2,690 sqft custom home with an open floor concept on a 49,830 sqft lot. 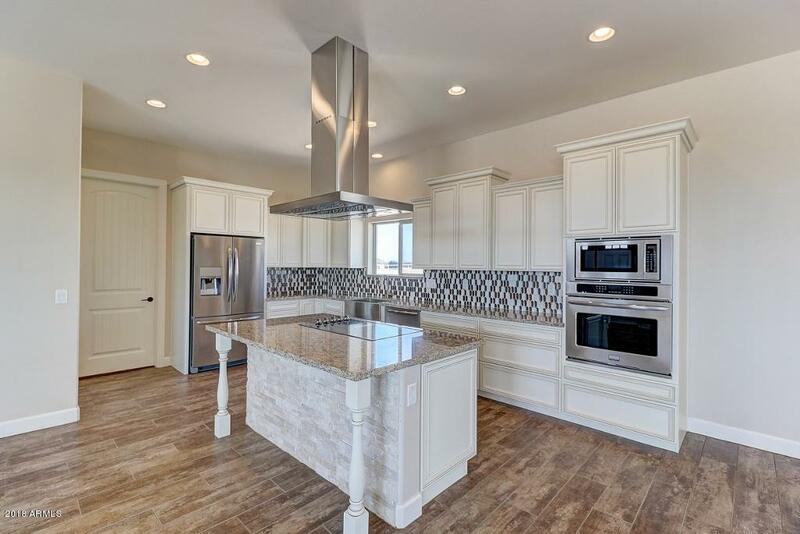 This amazing homes is loaded from floor to ceiling; granite counter tops, custom cabinets, custom plank flooring, designer lighting, designer plumbing fixtures, double sided fireplace and stainless steel appliances just to name a few. N. 254th Ave has plenty of room for your horses and/or any other toys you have... 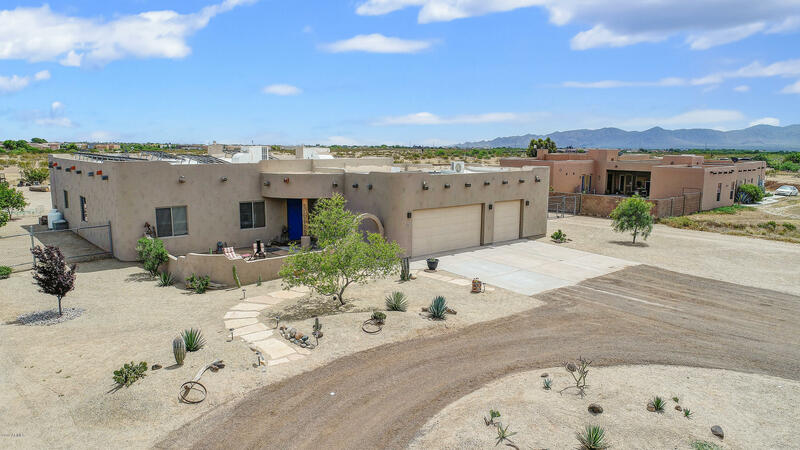 Hurry to vi"
"Gorgeous 4 bedroom, single story southwestern style home on over an acre of property available in tranquil Whitman AZ. 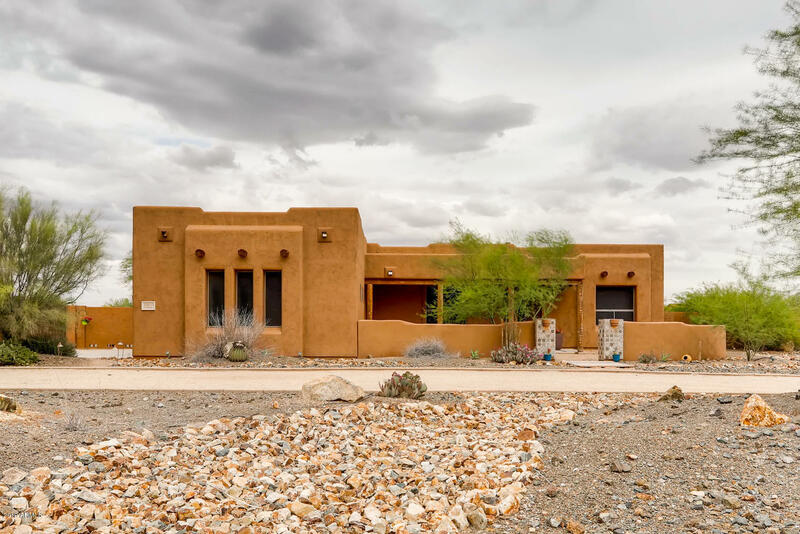 Immaculate interior features a spacious, open floorplan with a formal entryway, pristine, artistically tiled flooring and a large windows allowing for expansive mountain views and abundance of natural light. Sizable kitchen enjoys a breakfast bar and plenty of attractive wood cabinetry. Majestic master retreat boasts a private patio exit and a spa-like ensuite with double sinks "
"This home is under construction and another one next door 70-100 days out. To see a completed and similar home look at MLS # 5876807 ( 31011 N. 224th Dr). It is a slightly different floor plan but has similar finishes. All Tile floors everywhere except bedrooms. 10 + 12ft flat ceilings, 8ft doors with oil rubbed bronze hardware and ceiling fans . Quality shaker style cabinetry in deep warm brown colors, soft close drawers and doors, 36''lowers + 42''uppers. Granite counter tops throughout and "
"Gorgeous 5 BEDROOM 2 BATH 3 CAR GARAGE ON 1.3 ACRES. GE Upgraded Appliance Pkg, Combination Micro / Convection Oven, Zline Commercial Grade Stove Hood, Granite Counter Tops, Light Rail, Under Cabinet Lighting, Recessed Shielded Can Lighting, Crown Molding, Full Cabinet Back-splash, Osmosis Feed to Refrigerator, Jeffery Alexander Cabinet Pulls, 10' Ceiling in Great Room, Remote Fans in Great Room and Master Bedroom, Ceiling Fans in all Bedrooms, Softener Loop Hookup, Wired for Satellite, Laundry"
"4 BEDROOM 2 BATH 3 CAR GARAGE ON AN ACRE! This gorgeous home comes with many upgrades including granite counter tops, Split floor plan, GE Upgraded Appliance Package, Combination Micro / Convection Oven, Zline Commercial Grade Stove Hood, Under Cabinet Lighting, Recessed Shielded Can Lighting, Crown Molding, Full Cabinet Back-splash, Osmosis Feed to Refrigerator, Jeffery Alexander Cabinet Pulls, 10' Ceiling in great room." 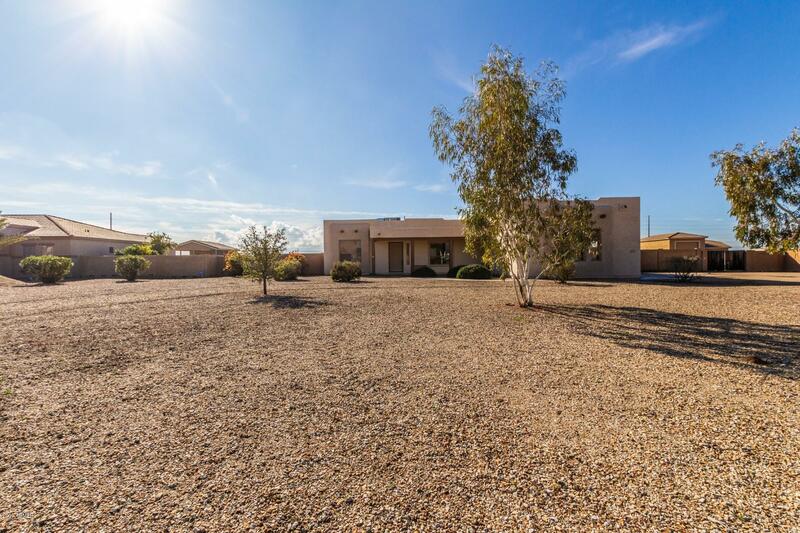 "Super beautiful 4 bedroom 2 bath Territorial home in growing Wittmann area. Property offers Rv parking, Horse privileges with stables and arena. Mountain views, fully blocked fence with rv gate. Separate fenced dog or play area. Home offers an open floor plan with an eat in kitchen and large breakfast bar. Dinning room off of great room, built in entertainment center. 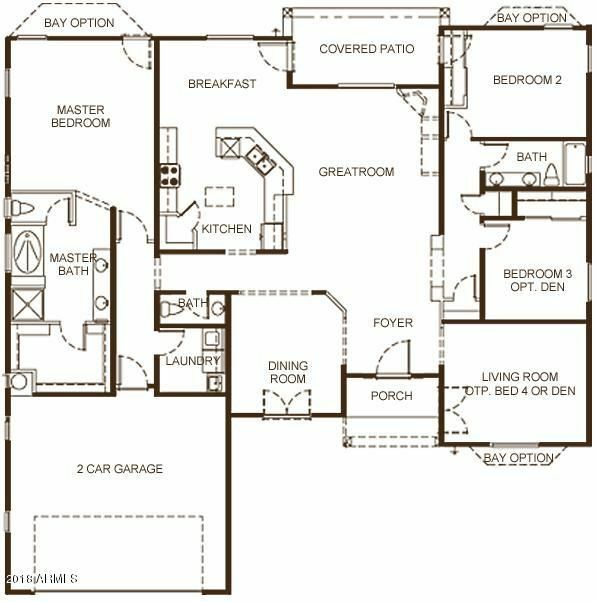 Split floor plan with master suite. Master has separate backyard access and a large walk in closet. Large kitchen pantry and gra"
"NO HOA!! 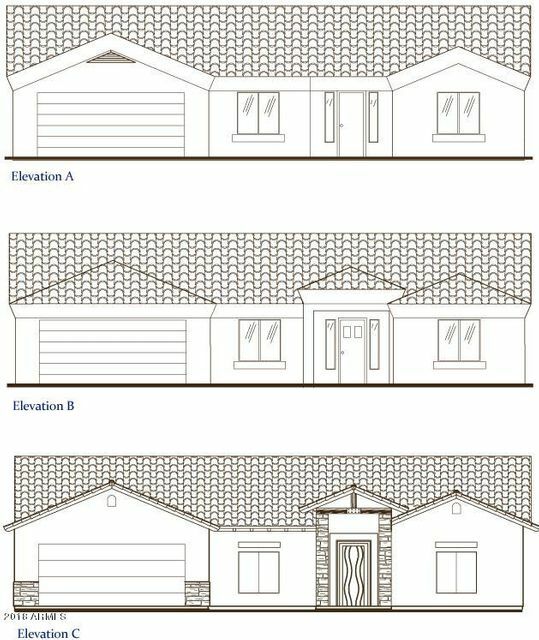 Ocotillo Floor Plan.Dozens of options and upgrades are available to customize your new home." 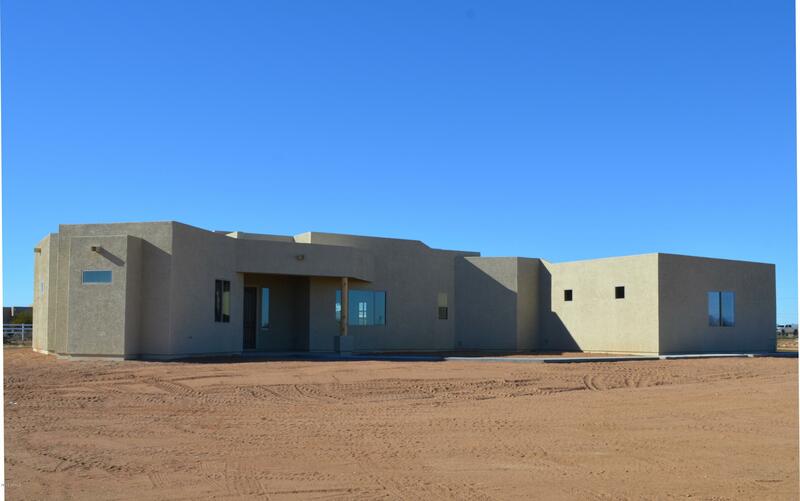 "This home is going to be ready in less than 30 days out. Tile floors everywhere except bedrooms. 10 + 12ft flat ceilings, 8ft doors with oil rubbed bronze hardware and ceiling fans . Quality shaker style cabinetry in deep warm brown colors, soft close drawers and doors, 36''lowers + 42''uppers. 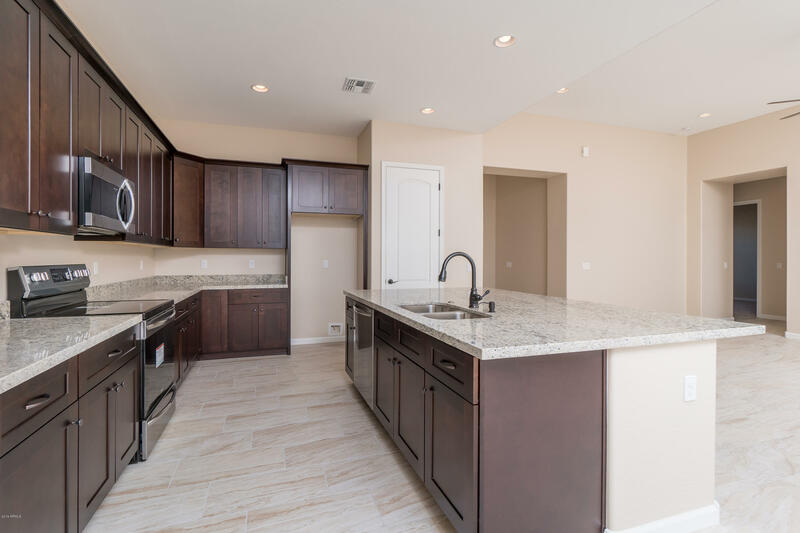 Granite counter tops throughout and stainless steel appliances. Laundry room with sink and cabinets. Split floor plan. 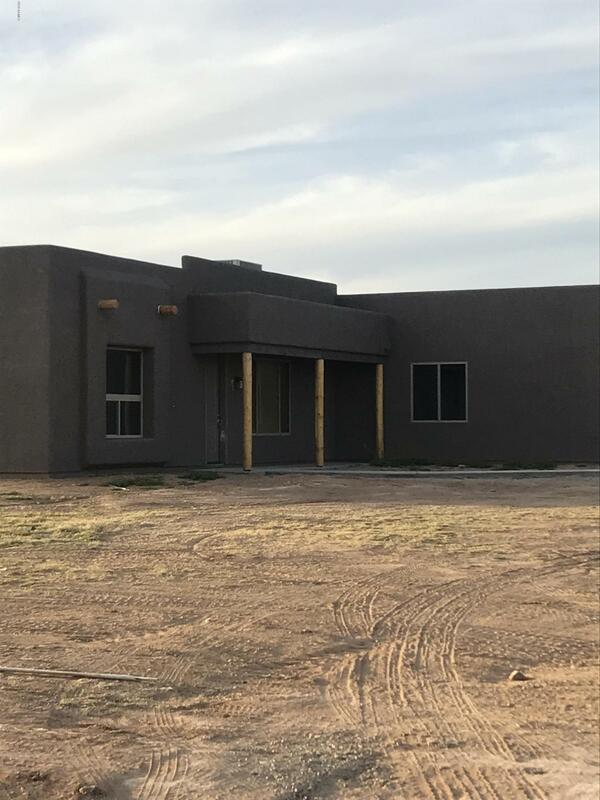 Spaciously designed bedrooms and build in closet shelves, open great room concept wi"
"BEAUTIFUL NEW CUSTOM HOME ON AN ACRE 4 BEDROOM 2 BATH 3 CAR GARAGE. Granite Counter Tops, Combination Micro / Convection Oven, Zline Commercial Grade Stove Hood, Light Rail, GE Upgraded Appliance Under Cabinet Lighting, Recessed Shielded Can Lighting, Crown Molding, Full Cabinet Back-splash, Osmosis Feed to Refrigerator, Jeffery Alexander Cabinet Pulls, 10' Ceiling in Great Room, Remote Fans in Great Room and Master Bedroom, Ceiling Fans in all Bedrooms, Softener Loop Hookup, Wired for Satellit"
"Amazing 1+ acre lot in a desirable location of Wittman. 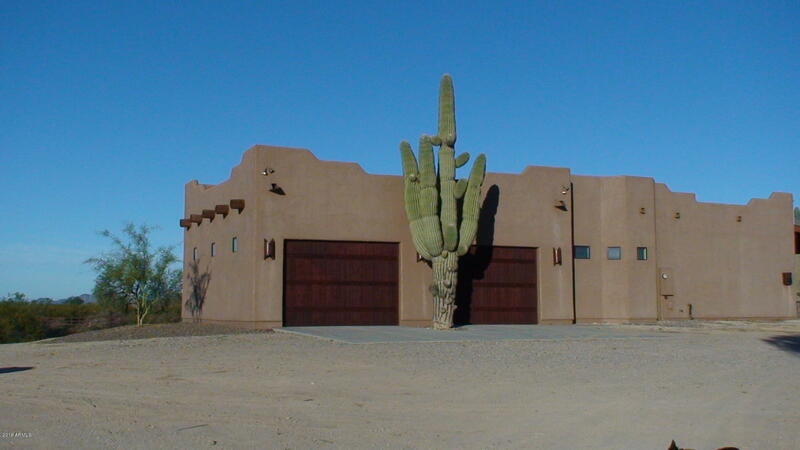 Custom built home with a flare of the Arizona Desert in its beautiful Southwestern Design. This hidden gem is meticulously cared for, very clean and loaded with upgrades throughout. Covered horse stalls, covered parking for 2 large RVs and 1 boat. 3 car garage with built-in cabinets. 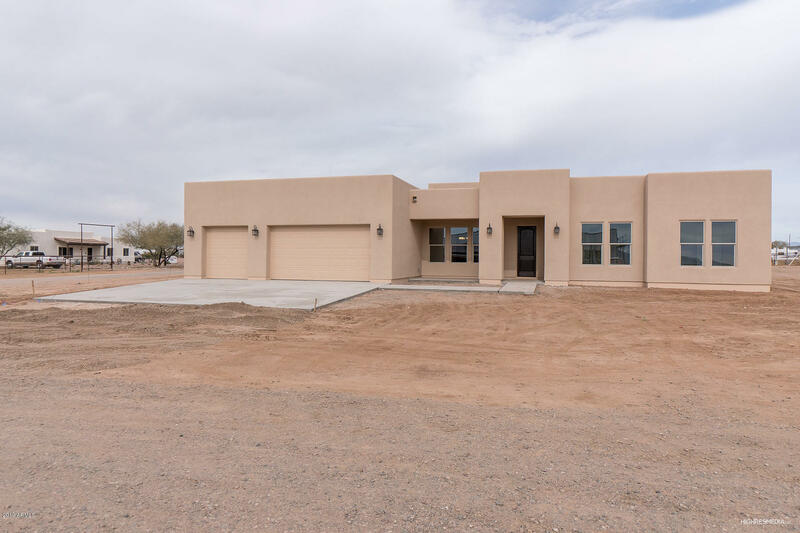 The interior features a split floor plan, custom knotty alder entry doors at front and back of the home, tile flooring through most of the house, a large eat-"
"This custom built home is BRAND NEW! The 2000+sqft split floor plan features a open main room and dining room perfect for entertaining. The master features a HUGE walk-in closet as well as a walk-in shower. The his and hers vanities are split by a jetted tub. The kitchen features a large island, granite countertops, and undercabinet lighting. The oversized 3 car garage is perfect for fitting any SUV or truck. This home is on a quiet dead end street with plenty of room for your horses and toys "
"Looking to get out of the hustle & bustle of the city, look no further! This is country living at its best. This spacious home is complete w/ great room, split floor plan, very large master w/ roomy bath, jetted tub & large walk-in closet. Two guest room & bath. All doorways are extra wide to easily accommodate wheelchair, etc... The kitchen has just been updated w/ cherry look cabinets, kitchen island, pull-outs in the pantry, all white appliances. Light filled dining area, 1.5 car garage"